Produkt kategori av Organic Wheatgrass Powder, vi är specialiserade tillverkare från Kina, Wheatgrass Powder Organic Wheatgrass Powder leverantörer / fabrik, grossist hög kvalitet produkter Natural Wheatgrass Powder FoU och tillverkning, har vi den perfekta kundservice och teknisk support. Ser fram emot ert samarbete! Wheat Grass Powder generally have wheat grass pure powder and wheat grass juice powder. The ORGANIC wheat grass is grow in China Ningxia, Yunan, Dongbei province, it is a unique wheat, our Wheat Grass Powder made from only the young, green grass shoots, It is contains lots of chlorophyll, amino acids, vitamins, minerals and so on, but untreated wheat grass contain a lot of cellulose, hard to digest. Wheatgrass is a natural food source of nutrients such as vitamins, minerals and the green plant pigment chlorophyll. It is also promoted to help treat conditions such as fevers, coughs, colds, constipation, arthritis and infections. Although there is not yet scientific evidence to support the claim that this supplement can treat or prevent disease, wheatgrass can add healthy nutrients and fiber to your diet. Organic Our Wheatgrass extract powder is a convenient way to add these health benefits to your diet. 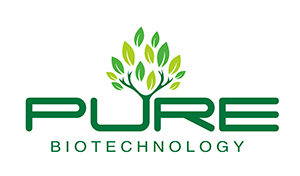 Ningxia Pure Biology Technology Co.,Ltd (PURE Biotechnology) is located China. It enjoys China`s natural hebs resource`s,cooperated with importer, big retailer, online retaile for years experience and is committed to developing a complete Chinease herbs medeical products line, upgrading the quality our raw herbs organic Organic Wheat Grass products, creating an integrated herbs supply chain, and make a significant contribution to mankind by developing the Chinese herbal medicine industry.